Being financially independent is something that many people dream of. Unfortunately, financial independence can be rather elusive. Many people feel that they have to be wealthy to enjoy this sort of independence. Fortunately, whether a person makes $50,000 or $5 million annually, there are basic tips that can help anyone achieve financial independence. Spending Less – While it may seem like a simple proposal, spending less money than a person earns helps create more available funds to be saved. The savings can be invested, and not only does it help maximize the growth potential of the money being saved, some of the savings can help shelter that money from taxes. Reduce Expenses – Living more frugally helps people free up more money within their budget. By focusing on what a person needs rather than what a person wants, an individual can free up more funds that can be strategically saved in order to get them going down the path of financial independence. Sticking to a Budget – Creating a budget can help an individual or couple stay on track when it comes to saving money. This can be a bit of trial and error as finding the right budget to meet all the financial needs that exist can be challenging. 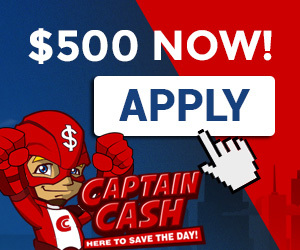 However, learning how to budget through programs like captain cash can offer important lessons that a person can benefit from for the rest of their lives. Eliminating Debt – Whether it’s a mortgage or high balances on credit cards, the less money a person owes the closer that person will be to financial independence. This can also be helped by creating a budget. However, whether it’s using a windfall of cash to eliminate debt, or whether it’s slow and steady payment schedules, the less money owed, the more money that can be allocated to savings and investments. Choose Investments Wisely – There are many investment tools that can help grow money. Some are relatively safe while others are risky. By establishing goals for financial independence, an investment program of low or high risk can be determined. However, regardless of how safe or how risky the investments are, it’s important to proceed in all investments carefully. Save – To enjoy financial independence, an aggressive approach to savings needs to be taken. Try starting out with saving at least 10% of all income earned. If possible, increase that number as much as a budget will allow. Not only will this allow for more money in a bank account, it can allow for getting more money back through investments. Automate – Automatic deductions make the most amount of sense. Having money automatically deducted from paychecks means the money won’t be in a person’s hand, which can result in a temptation to spend that money. Some of these tips may seem rather basic, but they can be very helpful if a person wants to become financially independent. It may not happen overnight, but with a bit of perseverance and common sense, financial independence can be within reach.